This announcement is no secret as the news of this leaked out last week. I guess this was the E3 announcement which has the potential to change the future of video games, game consoles and how we play. At the end there was nothing in the rumors about Sony and cloud gaming, at least we didn't get to know anything about it, if there is some truth in the rumors. 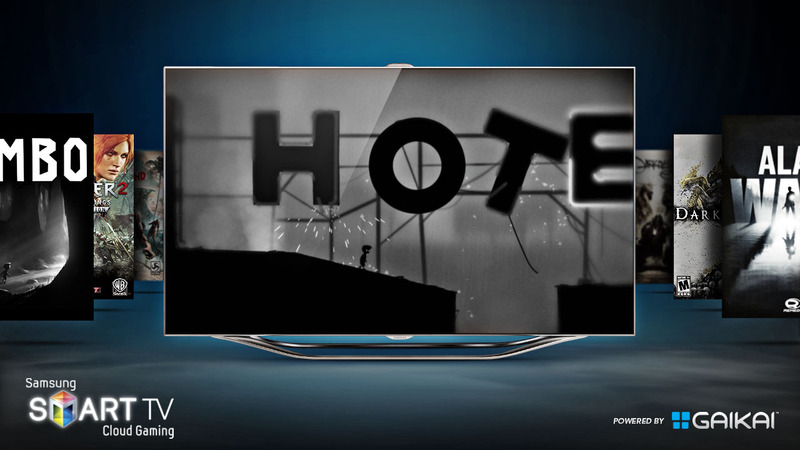 But it sure looks like as though the TV manufacturers are stepping on the console manufacturers' toes and want a big piece of the huge gaming market pie. Now back to the formal announcement. 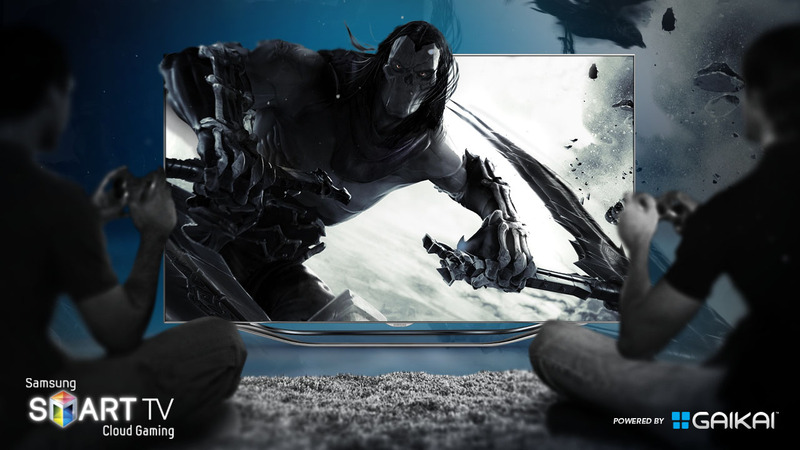 Gaikai, the cloud gaming service, and Samsung, the world’s largest television manufacturer, at E3 2012 unveiled the next generation in video games: Samsung Cloud Gaming, as the new cloud gaming service from Samsung powered by Gaikai will officially be called. Notice how there was a lot of "next generation" flying around these days at E3 2012. Talk about simple naming, Samsung Cloud Gaming, eh... looks like Sammy likes to keep it simple and well... drab with this one. That might not immediately sound like a game-changing announcement, but Gaikai executives are over the moon: Samsung is arguably the world's largest technology company — "There isn't a bigger deal to do in cloud gaming," said Gaikai CEO David Perry — and it's not Gaikai's first rodeo. 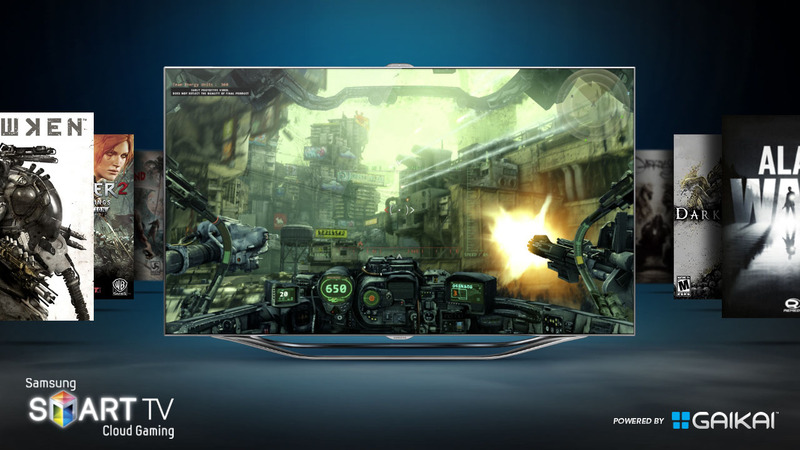 Samsung rival LG already committed to updating every one of its 2012 Cinema 3D television sets to include Gaikai back at CES, and the company believes it's going to be a strong differentiator. 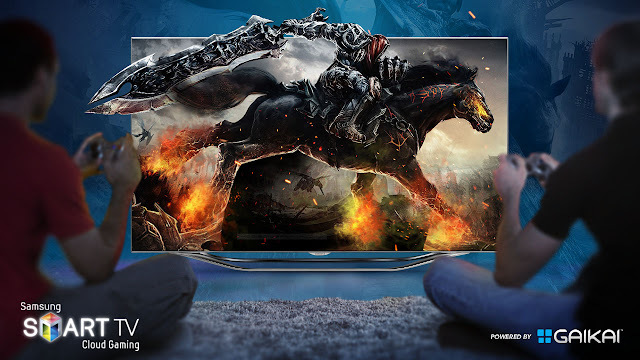 David Perry said that if you've got a Samsung Smart TV, you won't be playing on Gaikai proper; You'll be playing on Samsung's cloud gaming service, powered by Gaikai's cloud gaming network. While Gaikai facilitates the transaction, negotiates rights to particular games, integrates them into the service, builds the UI, and even puts the physical server racks together, it's Samsung that's footing the bill and Samsung that reaps the rewards. Samsung will get a cut of the purchase price, just like a brick and mortar retailer would. The secret, Gaikai says, is that each new partner pays for their own set of dedicated servers in Gaikai's cloud, such that every time there's a new company, the whole network expands that much more and thus lowers the latency to end users. Each partner that isn't using their full capacity at a given moment leaves that much additional bandwidth for others to stream their games, and as a result, Gaikai claims its service is now live in 88 countries. In short, this means that it's not a centralized Gaikai that's expanding, so much as a slew of prospective grey-label providers using Gaikai's cloud gaming network. 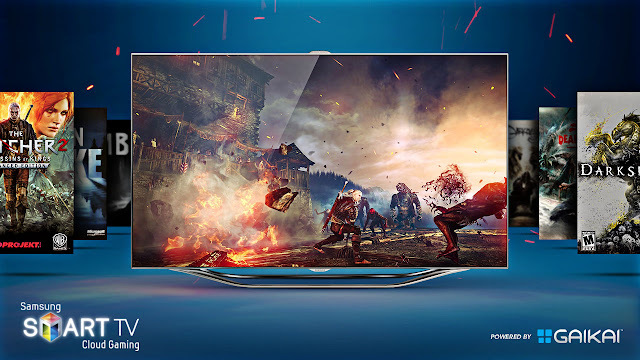 Samsung will utilize Gaikai's open cloud platform to launch game titles directly from the Samsung Smart Hub environment featured in high-end 2012 Smart TVs, beginning with the Samsung 7000 series and up 2012 LED Smart TVs. 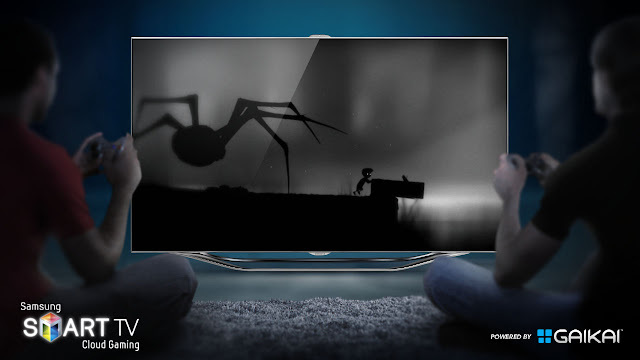 A diverse selection of AAA content appealing to both families and gamers alike will be available to instantly play using game controllers in combination with the Samsung Smart TV. Among the games that are coming to Samsung Cloud Gaming are EA games from the FIFA and Need for Speed series.